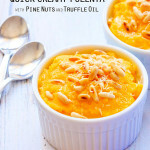 Quick Creamy Polenta with Pine Nuts and Truffle Oil – Ready in only 15 Minutes! 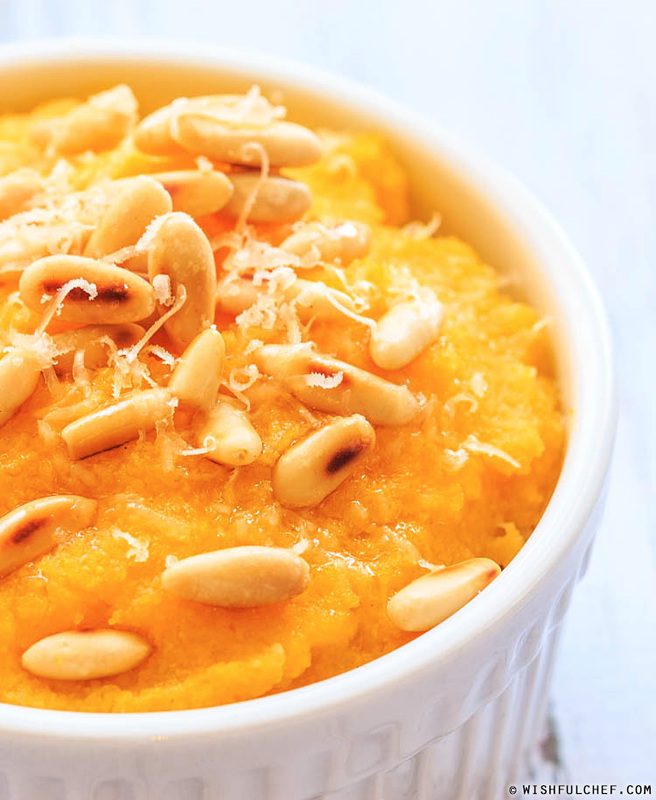 Lately I’ve been on a little polenta kick. I’ve been making this specific recipe for lunch when I have a busy schedule and I think I made it about 3 times this week! I’m not sure why it took me this long to cook polenta myself because it’s incredibly easy to make and really delicious. This recipe is super simple, involves only five ingredients and takes only 15 minutes to cook! I love this dish as a side or eaten on its own as a main (which is how I eat it for lunch). 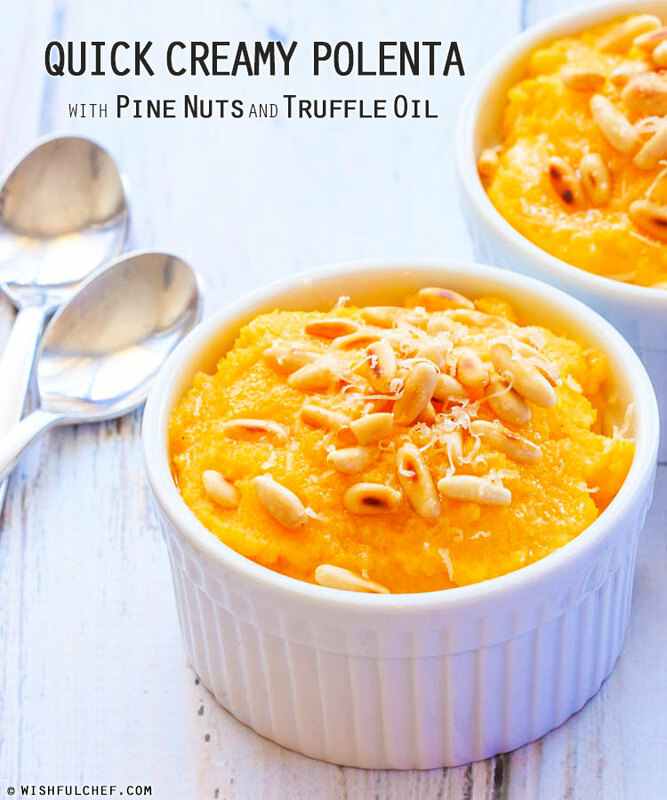 I used an organic polenta that cooks in minutes. Pine nuts and truffle oil are added to top the finished polenta. They’re not the cheapest of ingredients but only a tiny bit is added and a little goes a long way! I’m telling you, it’s so worth it! In a small pan on medium-high heat, add in the pine nuts; stir around and toast until golden brown, 3-4 minutes. Set aside. To make the polenta, bring the vegetable broth to a simmer in a saucepan. Turn heat down to medium and slowly add the polenta in a thin stream and stir. Keep stirring until polenta cooks and turns creamy, about a minute. Turn heat off then stir in grated cheese. 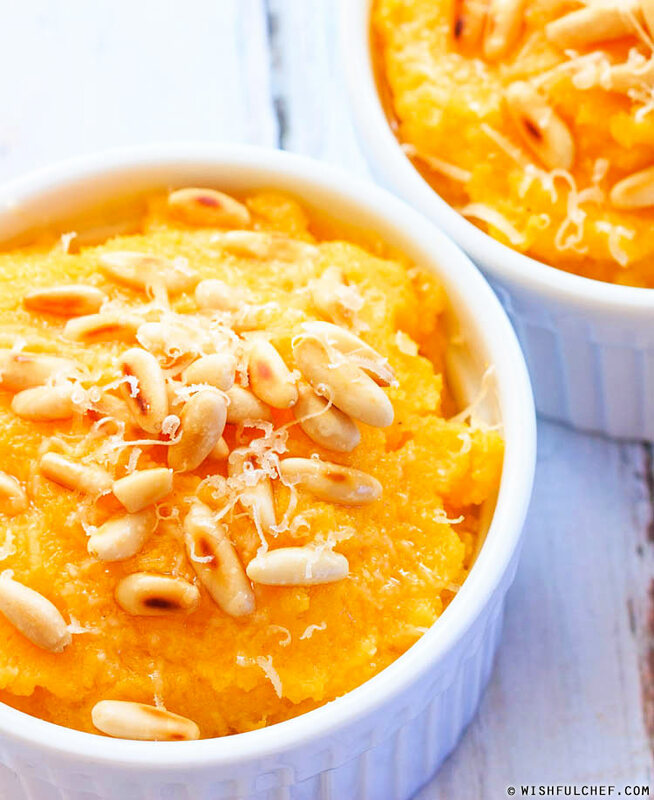 Pour creamy polenta into a serving platter. Sprinkle with more grated cheese then top with the toasted pine nuts and a drizzle of truffle oil.